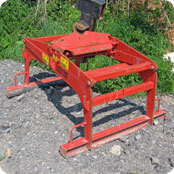 Fits either our teleporter skid steer or can be used from a track machine. A very handy tool. Hammer to suit .8 Tonne diggers. 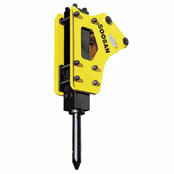 Hammer to suit 3 Tonne diggers. 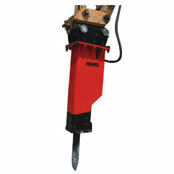 5 tonne rock breaker to be used with 50hp Tractor. 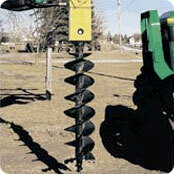 Post hole Auger to suit 3 Tonne digger.